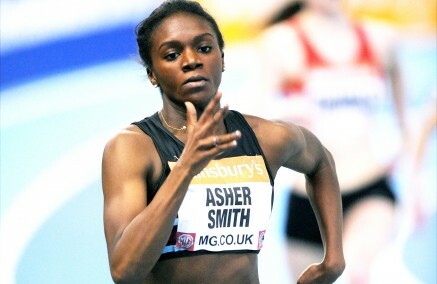 29th April 2014 – We are pleased to announce that Dina Asher-Smith has joined PACE Sports Management. The 18 year old sprinter won the European Junior 200m and 4x100m titles in Rieti last year and was a member of the British 4x100m team that won the bronze medal in the IAAF World T&F Championships in Moscow. Earlier this year she set a new European Junior Indoor Record in the 200m (23.15 secs), equalled the 60m record (7.22 secs), and also won gold in the 200m and silver in the 60m at the British Indoor Athletics Championships. She opened her 2014 outdoor season with a personal best of 23.08 secs into a negative wind in the 200m in Norwich last weekend having set a new 400m personal best of 53.49 secs earlier this month. Dina was nominated for the BBC Young Sports Personality in 2013. She is a member of Blackheath and Bromley Harriers Athletics Club and coached by John Blackie. “We are delighted to welcome Dina into the PACE family. She had a great year in 2013 and has a bright future ahead of her. We will work closely with her and her coach to help her development and transition from a top junior to a world class senior athlete.”, said PACE Director Ricky Simms.